What's Easter without Easter eggs? Hide them. Roll them. And, best of all, eat them. Of the many dishes associated with Easter, deviled eggs have always been high on my list. Traditional deviled eggs are delicious but with some adventuresome spices, hardboiled Easter eggs take center stage on this festive occasion. Our fingers stained blue, red and yellow, my sister and I loved dyeing and decorating Easter eggs. Our parents would hide the eggs around the house and outside. I'd race against my sister, each of us hoping to find more than the other. Ultimately when we had delivered the eggs back into the kitchen, our mother turned our colored eggs into deviled eggs with a simple recipe: peel off the shells, cut the eggs in half and remove the yolks. Chop up the yolks, add a bit of mayonnaise, season with salt and pepper and spoon the mixture back onto the egg white halves. When were kids those flavors were good enough. But for my adult palate, deviled eggs need spicing up. With experimentation, I discovered that doing something as simple as adding cayenne or Mexican chili ancho powder gives mild-mannered eggs a mouth-pleasing heat. Sweeten the flavor up a notch by stirring in finely chopped currants or borrow from Indian cuisine and mix in curry powder that has first been dry roasted in a sauté pan. I have to admit I'm a little miffed that the Greeks seem to get all the attention for their Easter traditions. Armenians roast lamb and even dye their eggs red. My mother never baked those eggs into a loaf of bread but we did play a game with them called egg tapping, another one of those Pagan rites taken over by the early Christians. The point of the game is to break your opponent's egg without cracking your own. One of my favorite dishes always served at Easter is Cheese Beorag, the Armenian version of Spanakopita. Our family even came up with their own version of this cheese and filo ecstasy that makes a perfect addition to an Easter Brunch. It's easy, can be made ahead of time and baked just before you are ready to serve it and I've yet to come across anyone who didn't love it and come back for more. We always eat lamb at our house for Easter. As a child we ate lamb twice on Easter, breakfast and dinner. Walking or rather hiking through snow for half a mile to our camp on the lake for our breakfast lamb feast. Yes, it took a while as we helped our father navigate with foot braces on both legs. It was my father’s happiest place on Earth, so he pushed himself to walk that long half-mile. My mother was happy to put together a ‘lovely’ breakfast in the middle of nowhere. In recycled grocery bags, we each ‘carried in’ marinated 2 inch thick chops, 2 per person, cherry tomatoes seasoned with garlic and oregano - ready for a quick skillet sauté and the cutest ‘breakfast’ size baking potatoes. The paper grocery bags had a duel purpose, they created a fire long enough to char 2 marshmallows each before they flamed out. The first thing once the door was unlocked at camp was to take the fuse breaker out of its hiding place and electrify the place. My sister and I ran from room to room turning on heaters to high while my mother turned on one of the ovens to bake the little potatoes as my dad set the long harvest table he constructed. My sister and I played outside on the ice-covered lake and slid on beer trays down the hill as the scent of garlic and oregano grew stronger. We knew when breakfast was close as the smell of garlic went from sharp and pungent to mellow and sweet. We were always hungry - we ate non-stop because we played non-stop. When it comes to holidays, I do not discriminate. Any excuse to bake massive amounts of new treats, purchase unnecessary packaging, ribbons, and lovely little boxes, then gift them to the those that I love gives me great joy. Easter creates endless possibilities. We don’t celebrate Easter, but why should my kids miss out on all the creativity that the holiday has to offer? I had been reading about naturally dyeing eggs and I was trying to find an excuse to do this intensely laborious project. 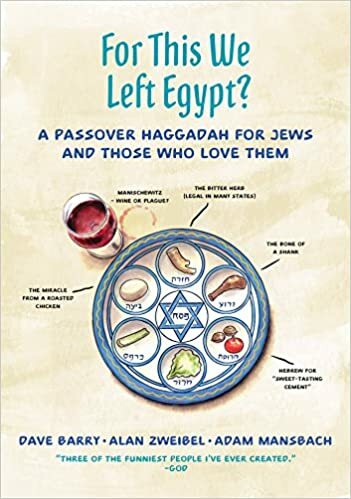 When I was asked by Levi’s kindergarten teacher for some cooking project ideas related to both Passover and Easter, it took me about 2 seconds to know exactly what I wanted to do with 25 kinders. Upon doing a little more research, I turned my kitchen into an Easter egg lab. Utilizing all my pots, pans, and bowls the mad scientist in me came alive and I could not have been in a more happy place. Simple garden vegetables; beets, spinach, carrots, carrot tops, parsley, and cabbage make wonderful, rich colors. Storing the dyes in ball jars made transporting the materials to Levi’s class effortless. I waited to add the vinegar until right before the kids placed their eggs in the dyes of their choices. If you have the time, let the eggs rest in the dye for at least 30 minutes to an hour. The longer they sit, the richer the color. Easter is almost here and while many of us are planning the main meal, whether that's brunch or dinner, we can't forget about treating the kids (or adults) to something sweet for breakfast while they are hunting for those eggs. I'm not sure if these Peeps Chocolate Dipped Marshmallow Chicks are new this year (I haven't seen them before), but they are sure cute. I imagined them sitting on a nest of chocolate and thought baked donuts would be the perfect perch. My kids eyes lit up when they walked in and saw these. I had to fight them off while I photographing as they wanted to just dig in and try them. I don't blame them. The brown Peeps are chocolate mousse-flavored and very yummy. The chicks have also been pre-dipped in milk or dark chocolate. I love hard boiled eggs. Using them for egg salad and especially for making deviled eggs is always a treat. They are also the perfect high-protein snack right out of the refrigerator. While I love a good hard cooked egg, I detest peeling off their shells. I have tried every method possible to remove the shell without ruining the egg itself. Nothing has been foolproof. I've also used fresh eggs and old eggs and still nothing has been really successful. The perfect hard cooked egg is SUPER important when making deviled eggs. The white needs to remain intact instead of looking like a mangled mess. I have found with the pressure cooker, the egg shells are very easy to peel away. This method doesn't significantly lessen your prep or cooking times, but you do save at the end when it comes to peeling. Totally worth it to me! And your deviled eggs will be pretty. I made hot cross buns last week. I used a recipe from a class I took years ago that focused on breads and rolls made with yeast dough. The sweet, egg- and butter-rich buns have mashed potatoes worked into the dough. I’ve got to believe it’s the potatoes that produce a soft, moist dough. Hot cross buns are an Easter tradition in many homes. When I was doing some research on hot cross buns, Google directed me to JustHungry, a food blog I’d never visited. There I found some cute Hot Cross Easter Bunny Buns. Made of the same dough that the author used for her hot cross buns, they were shaped with chubby little faces and long bunny ears. Best of all, the author included step-by-step photo instructions, from rolling the dough, to creating the ears and faces. I knew I had to try making the little bunny buns myself. With one batch of dough, I was able to create 12 Breakfast Bunny Buns. Each one came out of the oven with its own charm. The ears were long and funny, some pointing straight up, some a little bent and some a bit uneven. Their little currant eyes made them simply irresistible.